Wanake has an excellent site with child-friendly facilities and food service that is well suited for school outdoor education and peer leadership training programs. We are located in the rolling hills of Stark County on the border of Wayne, Tuscarawas, and Holmes counties with food service and meeting and sleeping space for small and large groups. Wanake is well suited for a variety of events, including Sixth Grade Camp, outdoor education, training retreats, group building, and field trips. 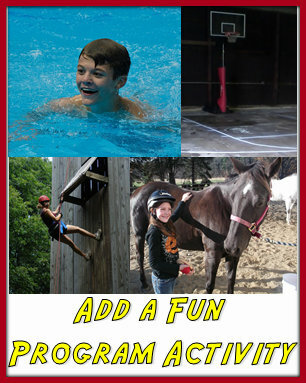 We welcome the opportunity to host your school’s outdoor education, field trip and/or leadership development program. Schools who contract with Wanake to provide sessions to complement the school’s unique program. Wanake does not presently offer a full curriculum.